Without the help of Kasper Kopp Woodland Manager, Barritskov Estate, this tour would not have been the success that it was. He organised hotels, forest visits, hire cars, etc, as well as spending many hours with us. We thank him wholeheartedly. We are grateful to the members who recorded these visits to woodlands in Jutland. I regret that more members were unable to join us. I am confident that the best way to understand, appreciate, and learn the Pro Silva Principles is to see them practised on in the ground by foresters who have the training, knowledge and confidence to put them into action. We are lucky to live on this wonderful island, but we must be prepared to travel out to observe and learn from others. We thank the Forest Service of the Department of The Environment, Marine and Natural Resources for the generous financial support given to participants. The Danish Heath Society hosted our visit to Färchs plantation. This organisation was set up around 150 years ago to improve poor sites through afforestation. We were met by the forester Torbin Nielson and Epa Leer who is responsible for the woodchip supply to the network of small direct heat plants. A Danish forestry student called Finn Jensen also joined us. Färchs plantation is made up of 165 ha of mainly first generation Norway spruce planted on heather. This plantation, along with all the organisation’s plantations, is in conversion to Continuous Cover Forestry. We were informed that two students had carried out a study of the soils within the plantation and found that four distinct soil types could be identified. This has the consequence that these areas must each be managed differently. The potential of Douglas Fir on these site conditions was discussed and it was agreed that this species would do well. However Torbin Nielson informed us that as the objective in this plantation was to convert to mixed forests ( and not plantation) they would not be planting Douglas Fir. We learnt that forest development types had been established for each of the four soil types. An overall 70% conifers would be accepted as future policy These conifers are exotic to the area but are accepted as they are very productive and do not hinder the establishment of a mixed, continuous cover forest. The topic of ride lines was discussed and we were told that 20m ride lines were preferred to 40m as this reduced harvesting costs and damage This point was debated: some considered 40m ride lines to be far more suitable Ride lines at a distance of 40m apart would seem to have advantages over a more dense network. The intervention and thinning interval is 8 years at Farchs plantation and they begin early and hard. The topic of deer was raised and although it is not a major problem there yet, they expect it to become one. At our second stop we looked at a stand of old Beech. Although the timber quality of the Beech looked very poor Torbin Nielson intends to remove the humus layer with a specialised blade to encourage broadleaf species, but also conifers including Sitka Spruce. We discussed the quality of the Beech and were reassured that this particular stand was of poor timber quality due to its silvicultural history, and because of the site conditions prior to the afforestaion of the surrounding areas. The genetics of these Beech had been researched with favourable results. The reason, we were told, why they are converting to continuous cover is economic! The costs associated with plantation forestry make this form of management uneconomic, even if initial afforestation costs are taken into account. After a very interesting morning at Hedeselskabet with The Danish Heath Society looking at the conversion of Spruce stands to continuous cover forestry, we arrived at the Barritskov Estate in time for a very wholesome organic lunch at the Estates restaurant, located in their traditional cobbled farmyard. Easily visible across a wonderful garden was the main house lived in by the owner, our host, Thomas Harttung. In this garden was a national collection of plants, run by the Seeds of Change organisation. After lunch our leader, Kasper Kopp, gave a brief introduction to Barritskov and general overview of the many enterprises they engage in. It is situated on the coast of the Vejle Fjord in eastern Jutland between Vejle and Juelsmirde. The estate covers 690 Hectares of which 375ha is forest and 290ha is organically farmed. The remainder is park, garden, meadow and coastline. Of the forested area 35% is Beech, 21% Oak, 23% Ash, 4% other broadleaves, 9% conifers mainly Norway Spruce and Silver Fir, and 8% old Christmas tree stands of Noble Fir and Caucasian Fir. The Christmas tree plantations are being phased out and are being incorporated back into High Forest over time. The forest has been an integral part of the estate for centuries and the own­ers’ objectives have varied considerably over time. Management in the past has been as High Forest with felling and replanting combined with nat­ural regeneration. 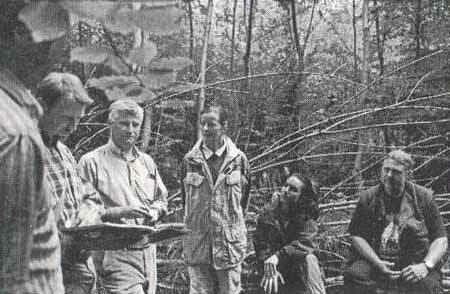 Since 1995 the forest has been managed according to the principle of Pro Silva. The aim is to develop stands of mixed ages and species by thinning selectively to target diameters and to rely on natural regeneration as far as possible. The Forest has been F.S.C. certified since 2001 and organically certified to Danish standards. The farm is also organically certified by the Soil Association and produces organic crops and vegetables. The organic vegeta­bles are marketed through a box scheme by an internet distribution compa­ny run from Barritskov. It has achieved a customer base of 30,000 clients in two years. The estate is also developing the marketing of Non timber forest products (N.T.F.Ps) i.e. bark and leaves as well as the traditional round timber, sawlog and firewood. All heating on the estate is fuelled by wood chips (approx 500 Tonnes/year). At 2:15pm the heavens opened as we entered the rain forest!! We had managed to escape all morning without getting wet but this time we had no chance. As we started our walk a thunderstorm raged above us and it was difficult to take in the magnificence of what was around us: the Ideal to which we all aspire, a mix of species including Beech, Ash, Sycamore and a little Oak of all ages from young regeneration at ground level to mature trees in the canopy with over 8m of clean timber before the first branch. The fertile clay soils were not surprisingly waterlogged on the day but are very moisture retentive and standing water is present in some areas throughout the year. This is a limiting factor in that windblow is not uncommon, especially in Beech which acts as a control in the overall ecosystem preventing it from becoming too dominant. Regular interven­tions are carried out once every 4 years when target diameter trees are removed. The target diameter of Ash at which it is felled is 55cm. This is sawn locally and sold for flooring but is only marketable if the timber is white. The Estate is considering growing Ash to larger diameters and promoting the brown heart as a positive feature. Chinese clients have paid a 10% price premium for Ash that is F.S.C. certified. We also saw some very fine mature oak. However the lack of oak regener­ation disappointed the group as well as our leader. The topic was dis­cussed for some time and it became apparent that the roe deer are princi­pally to blame. The population of deer had expanded when a commercial pleasant shoot had been operating. The pheasants were fed grain in the forest and this attracted the deer in from the surrounding countryside. The shoot was subsequently discontinued and a heavy cull of 100 deer was carried out in one year. This was estimated to be 50% of the population present at the time. It was suggested that a maximum deer density of 0.1 deer/ha is necessary to enable natural regeneration to occur and not suffer browsing. Monitoring of the deer population is carried out by observing which species are being browsed. Roe deer prefer oak then Beech, Sycamore and finally Ash. After crossing a small stream momentarily in flood due to the adverse weather conditions we were told that all the waterways on the property were managed principally for biodiversity. Felling operations are kept well back from and interventions were restricted to what is absolutely necessary. The whole question of the protection of biodiversity in managed woodlands was taken up by JENS KANSTRUP, our other leader for the afternoon. He outlined two habitat mapping methods that can be used to obtain information on rare or threatened species as well as important habitats which might occur in a forest area. One is A Woodland Key Habitats Inventory and the second is A Forest Nature Value Assessment. They had both been adapted to Danish conditions based on similar methods first developed in Sweden in 1995. Key habitats in woodland are biological hotspots which the invento­ry aims to identify. These are quality habitats which satisfy the needs of very sensitive or specialised species. They consist of areas such as old growth forest, streams, bogs and meadows where rare or threatened species are likely to be found. The knowledge of an ecologist is necessary while carrying out this method. The Forest Nature Value Assessment is another simpler approach which only applies to tree covered sites and aims to assess any stand according to its natural content and to note all elements which support biodiversity, even if it is not a key habitat. Recommendations can then be made for the conservation and improvement of biodiversity within any stand. We were then asked to carry out a native value assessment within a stand using a check list divided into eight different categories: 1) Stand Structure; 2) Edge Features; 3) Living Trees; 4) Epiphytes and Ground Vegetation; 5) Dying Trees and Dead Wood; 6) Human Influences; 7) Topography and soil; 8) Water. The next stop was in a Norway Spruce stand on wet fertile clay soil to discuss the conversion to Close to Nature Forestry. 30 metre access racks are being cut with a view to managing crop to avoid clearfell and to favour broadleaves. The early signs of Natural regeneration arc present in small areas of windblow which are being monitored to assess its success. Kasper hoped that bird seeding of Oak by the Blue Jay (so remiscent of the Pro Silva trip to Lower Saxony in 2001) might happen in these areas. Food beckoned and after returning to our Hotel for a shower or swim and a dry set of clothes, we returned to the Barritskov restaurant to dine (organically of course). The following morning we were joined by the owner Thomas Harttung, current president of Pro Silva Europe, who over the next few hours instilled in us his passion and enthusiasm for close to nature forestry. We were shown a compartment of predominantly Ash which had mainly regenerated since 1965. A Beech, Ash overstory was removed in 1977 after a drought and since then has remained untouched. Here the approach was to be more cautious. The possibility of growing Ash to large D.B.H. was discussed. Ash up to 70-80cm was possible but only if market will accept brown heart discolouration. Silvicultural practices were then outlined: The initial emphasis is always quality i.e. remove the worst first. Then favour future trees that will be grown on to target diameters and give them space. All thinnings are marked by the forester. A rigid 30m rack system has been imposed throughout the forest which Tomas found hard to accept as it is rather aggressive and mechanical but the advantages outweighed the disadvantages. Local firewood collectors cut and extract all small roundwood thinnings and also clear up any large hardwood crowns for firewood. They extract the firewood to the racks by hand where it is stacked. The forester then measures the stack and the collectors pay between €10-12/m2 before it is removed. This system works well in Denmark where there is very much a tradition of firewood collection in rural communities. It was mentioned that insurance difficulties would preclude this type of operation in Ireland. Larger diameter trees are felled and extracted by a contractor. They are felled motor manually, with great skill, in the required direction to allow them to be winched to the racks. Radio controlled 40m winches are used. The logs are then forwarded along the racks to the forest roads for collection. No wheeled machines are allowed off the road or rack net­work to minimise soil compaction and damage to standing trees. In general all interventions should generate revenue otherwise they should not be done. The revenue generation possibilities of Carbon sequestration were raised and Tomas pointed out that close to nature forests permanently sequesler carbon as the standing volume is maintained forever. He has been researching the market and spoke of in the region of €20 per tonne of carbon sequestered. These would be payments from industrial companies seeking to reduce their net carbon emissions. The amount of carbon sequestered could be between 20-30% of the standing volume plus what is held in the soil. We walked on through an area of beech which in the past had been intensively drained. The drainage has enabled temporary standing water to leave the site but the beech still has shallow roots which can suffer from drought. No draining is now carried out on the estate and suitable species are given preference on the varying soil types. Students have been used to carry out soil mapping, taking one sample per hectare. The average pH of the soils at Barritskov is approximately 5.4. Tomas seemed to think that this is not far from the Lords Neutrality which is the neutral pH for Humus creation and is therefore ideal for growing trees. As we navigated our way through the forest over the drains and round lying dead wood, rare plants, areas of bog, etc, the subject of these KEY BIOTYPES was raised. All key biotypes are mapped by the forester and this is given to the contractor and the firewood collectors operating in each area and their attention is drawn to the fact that damaging these must be avoided at all costs, This is a requirement of F.S.C. certification and is a net cost. We came across a majestic stand of mature Oak and Beech where we were told of the recent premium market for top quality Beech to China. They have developed machinery that can produce Beech veneer of 0.2mm thick­ness for furniture production. They sourced the Beech in Europe paying up to €400/m2 for the top quality. The estate sold into this market last year but this year the market has been flooded and prices have dropped by 50%. The moral was to sell top quality timber when the market is right and be prepared to hold on when the market is bad. The market for Oak has been bad for several years, consequently little has been sold. We then moved on towards the sea and our final stop of the morning. En route we passed a large rectangular grass field surrounded by woodland and the sea which is known as Stellas field. Kasper recounted the story that during the war the allies parachuted in supplies here to the Danish resistance as the shape of the field showed up well from the air. ‘Stella’ was the call sign transmitted by the allied aircraft to alert the local resistance to the impending air drop. Our last stop was on the coast in an area of untouched forest. No forestry activity has been carried on there since 1947. We saw natural decay in Beech and subsequently at a much greater age in Oak and the natural regeneration then occuring in the gaps. This special area is full of important flora and fauna which are listed. A once off grant of €3,000/ha was received for laying out the area. This natural coastal Forest is rare in Denmark and well worth preserving. We met our hosts, Asger Pedersen and his predecessor Lars Age Nielsen, from the Danish Nature Conservatory, at Barristkov Estate. After another delicious lunch of all organic salads and vegetables grown on the estate, we set off in convoy to the State owned forests of Grund and Bjerre. Asger explained to us that in 1805 the lands were separated into either forest or farm land. A green belt area had also been designated around the town to protect ground water and to serve as a buffer zone from chemical waste. Also from 2003 on, EC regulations will ensure that no more chemi­cals will be allowed in forests, – no Round-up and no chemical control for aphids, etc. These factors provide major incentives for State foresters to learn about and implement Close-to-Nature systems. It was clear to us that while Thomas Hartung, Kasper and his team are practising Close-to-Nature silviculture through their own personal motivations and their belief in the workings and economics of natural systems, State foresters are largely being forced towards Close-to-Nature by cost cutting necessities and Government and EC regulations. This approach to silviculture is new to them and it is requiring a change of mind set which often flies in the face of many years of training and practice in the forest. Our first stop was at Grund where we were shown a stand of 130 year old Oak with Beech on heavy, fertile soils. Asger explained that there was no tradition of Oak regeneration, and that previously it was always planted. There is no budget for costly interventions at this time. He had erected a low budget, simple fence under a light gap caused by felling a few mature trees. Roe deer are the main problem with Oak regeneration. (100,000 roe deer were shot in Danish forests’ last year.) He had achieved prolific Oak regeneration, with no ground preparation, since the fence was erected five years earlier. Asger was clearly quite pleased with these results of his ini­tiative. Stop two was a camping site in a beautiful location overlooking the sea. State forestry provides and maintains camping facilities free of charge to the public. They include fireplaces, but that is all. The camping sites can only be reached by foot or by bicycle, – no cars. Asger explained that about l/3rd of their work is for public amenities such as this. Stop three was an exceptionally fine stand of Oak. This 4.5 ha site had been green field 110 years ago. 42 trees per ha remain today with an average dbh of 70cms and approximate height of 28metres. It is now a registered seed stand and a showcase picture. The man who most influenced this stand was a ranger from the island of Boanholm in the mid Atlantic Sea. His name was Brandt, – a tall man with a strong accent echoing his island roots. 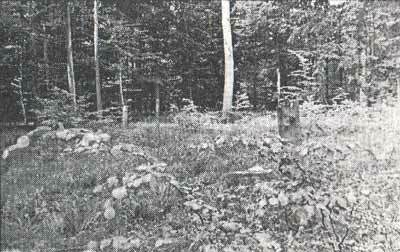 He worked in State forests from 1923 until he retired in 1957. Brandt believed in very heavy thinning. This stand he thinned from year 20 to year 30 every two years and from then to year 40 every 3 years. His method was his own, and there were many years of discussion amongst foresters as to its merits or otherwise. General opinion was that the thinning regime was exces­sive and Brandt was not much respected amongst the majority of foresters at that time. 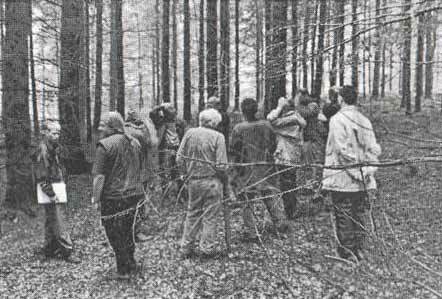 However as the years passed, the success of Brandt’s methods became obvious and his thinning practice has influ­enced the management of Oak stands throughout Danish forestry. Although this was essentially an age class stand, I couldn’t help think­ing how relevant it was for the Irish Pro Silva Group to see. Brandt had the strength of character to go against the tide and his work was of a pioneering nature. It was in this stand that a discussion took place on the marketing of these big timbers. At present there is very little being sold, as prices are so low. Asger told us that co-operation with private growers is the usual way these big timbers are sold. Many of the larger logs are sold in the round to Asia. Shipping is so cheap as manufactured goods (the point was made – often plastics) were shipped into Europe from Asia and the ships went back carrying these fine timbers. I had to wonder about the long term environmental and economic implications. Robert (Tottenham) offered the suggestion that timber could be planked and stored while waiting for the prices to increase. This would make some harvesting possible and the process of close to nature or at least regeneration, could begin. Meanwhile the timber would be seasoning. We then visited a 1.5ha stand of Noble and Silver Fir planted in 1914. Again, no market so trees were growing beyond target diameter and regeneration was slow due to dense canopy. However where there had been some trees felled due to wind throw, regeneration had freely occurred. As nature conservation and biodiversity are important factors now in EC forests, Asger and Lars brought us to see a 12 ha site which was cleared of Norway Spruce 30-40 years ago, with no intervention since. The brash had been chipped in 1998. Now there is Willow, Alder, Birch and many wild herbs and flowers. Although this area is set aside for nature conservation and biodiversity, Asger was very interested to see the pioneer species coming in so vigorously. A nice stand of 22 year old Ash which had been thinned 3 times with thinnings sold for firewood.The dbh was 12-14 cms. A really fine stand 2 ha of 70 year old Douglas Fir 30 metres tall with an average dbh of 60cms. Here was the end of our visit to this region. We thanked our hosts, said our goodbyes and headed off in our hire cars for Karup. Our host for the day was the Danish Nature Conservancy in the district of Pilbob, led by foresters Asger Thyge Pedersen and Lars Age Nielsen. Our first stop was at ULVEDAL PLANTATION (Dale of the wolf). The last Ice Age has left the area with a very sandy soil. The Moorland that developed was infertile and various attempts were made to afforest the site with Norway spruce but with poor results. Pinus mugo (Mountain pine) was then planted and this species adapted well to the difficult conditions. The annual rainfall is low and, more importantly, between the 1st of May and the end of September the average is only 300 mm. Pinus mugo was followed by a variety of species and is now in the third rotation with a gradual change of species composition to 85% conifers and 15% broadleaves. Oak and beech are the main broadleaves planted while the conifers are mainly Norway Spruce, Sitka Spruce, Scots pine, European larch, Douglas fir, Common silver fir, Grand fir etc. Forest fires are a major hazard, hence the forest is divided into blocks with a 30 m wide firebelt on the perimeter of each block. The firebelt is made up of 30 m of screefed area (area from which surface organic layer has been removed), which exposes the subsoil, which is mainly sand. A forest road is added adjacent to the screefed area and a Broadleaf belt of Oak and Prunus serotina complete the 30m. We visited a Norway spruce plantation, which was heavily thinned to approximately 300/400 stems per ha. The lop and top was wind rowed and under planted with Sitka spruce, Larch, Beech at 3400 trees per ha. High stocking is necessary as losses due to drought are anticipated. There are no problems with pine weevil where the overstorey is retained. It is local policy to introduce a minimum of 10% beech in all plantations. Beech is native to Denmark. The Roe deer are a serious problem but a no shooting policy has been adopted as it is necessary to curry favour with the general public who are encouraged to visit the forest. We stopped at another Norway spruce plantation where successful regeneration was evident. No intervention to reduce stocking is planned. Here we inspected a 70 year plantation of Grand and Common Silver fir which was heavily thinned, fenced off and under planted with Beech by putting 5 seeds into pits. This was only partly successful due to the presence of field mice. An enclave of 90 ha has been set aside as a National Heritage area as the site has important historical connections, plus the fact that it was never cultivated or planted. The heather is encouraged by burning small blocks on regular basis. The party had a very pleasant lunch at KOMPENDALHUS which was a detention camp during the Second World War and later used as a trail base for forest workers. In a nearby 70 year old plantation a soil pit was excavated to a depth greater than 2 metres. No stones are evident in this very sandy soil. The top 200 mm is a peaty humus layer. Below this from 200 to 400 mm is a grey leached layer with a hard pan at approximately 400 mm. This is underlain by a very sandy soil. The roots of the Sitka spruce are growing deep into this layer. The natural regeneration of the Sitka was growing in from the edges and where any windblow took place. Out hosts were adamant that windblow is a problem in Denmark but the evidence would suggest that this is a greater problem in Ireland The QUEEN CHARLOTTE ISLANDS provenance is favoured for Sitka due to frosts which can sometimes be as late as July. Autumn frosts can also cause damage. Felling is based on a target diameter of 50 cm, clearing the largest trees first. Wheel rutting is not a problem due to the sandy soils. Fertilisers are banned in Danish forestry but this does not cause a problem as the soils are now mature forest soils. Afforestation is on agricultural nutrient rich soils hence trees will grow without additional fertilisers. Christmas trees and foliage are the cornerstone of the forest income but the market is becoming more difficult. We then said our goodbyes to the Danish Pro Silva Group. The visit had been a positive experience and we returned with a better understanding of the principles of continuous cover forestry with minimum intervention, allowing the ecosystem to maintain its natural processes. Read More Ted Wilson: MSIF, Walsh Fellow in Silviculture,Teagasc Forestry Development Dept. ― Ted Wilson: MSIF, Walsh Fellow in Silviculture,Teagasc Forestry Development Dept.